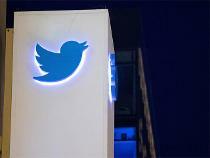 Twitter announced on Thursday that now anyone can broadcast live video directly from its apps. Powered by Periscope, live video on Twitter allows people to share and experience everything from significant moments to daily life together with an audience – all through a Tweet, the company stated. Users don’t need to download Periscope to go live on Twitter with this update. They can go live straight from Twitter. The feature is being rolled out globally for everyone on iOS and Android during the next 24 hours. Periscope was the first to popularize live video and users have been able to view live video in Twitter since January. This update brings the creation and engagement aspects of live video into Twitter natively. Members of the audience within a live video on Twitter can interact with the broadcaster by commenting and sending hearts to show their support.Tweets that contain live video can be retweeted, liked, and shared anywhere.